Abu Dhabi-based Etihad Airways has announced it is to provide business-class and first-class passengers with iPads. At the same time, Doha-based Qatar airways has decided to offer the use of laptops for business-class passengers. Meanwhile, Dubai-based Emirates is to provide all passengers with a specialist handling service whereby passengers can keep their large electronic devices until boarding and receive the devices back upon reaching their destination. These are measures which have been rapidly rolled out by three of the Gulf’s major carriers in response to both U.S. and U.K bans on electronic devices larger than a smartphone in cabins on specific flights from eight predominantly Muslim countries as part of increased security measures. Where Qatar Airways is concerned, from next week Business Class passengers travelling on all US-bound flights laptops can be collected after boarding. Qatar is offering a special service at the gate for all passengers, whereby any electronic items prohibited by the new ban will be collected and securely packaged. These will then be tagged, loaded as check-in baggage and returned promptly to the passenger on arrival to the US. 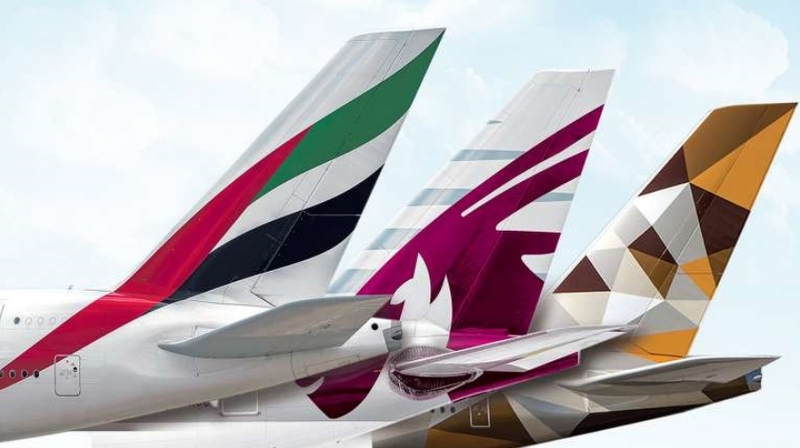 According to His Excellency Mr. Akbar Al Baker, Qatar Airways Group Chief Executive: “As an award-winning and global airline we truly appreciate the importance of being able to work on board our aircraft and that is why I have insisted on offering only the best possible solution for our customers.